Separate the egg whites to the egg yolks before adding in the egg whites into the butter and sugar. Use egg whites only for this recipe to make the batter look lighter which will hold the colours more. Sift in the flour and a dash of milk, folding it gently. Add one food colouring in each bowl, to make purple simply add blue and red together and mix well. 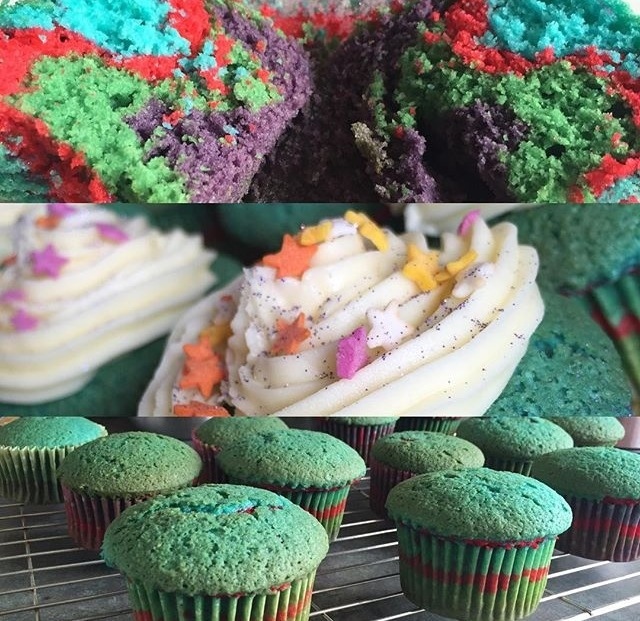 Once all the colours are bright and mixed in, place a tsp of purple mixture at the bottom of each cupcake case, then green, red and finally blue. Put in the oven for 15- 20 minutes. 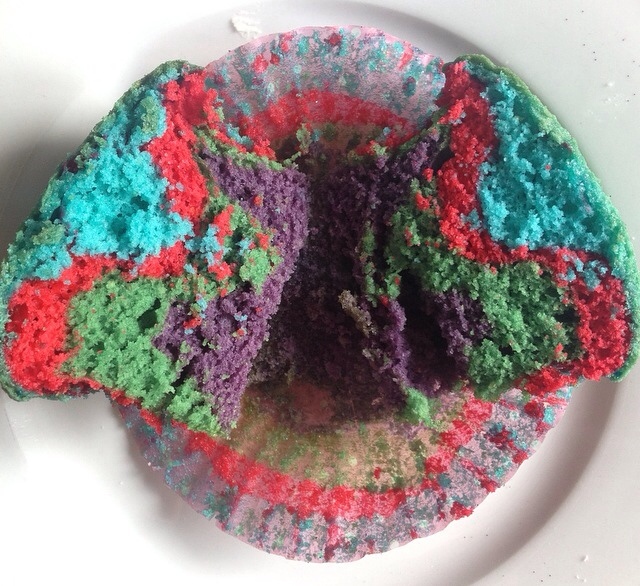 In the meantime, cream together the icing sugar and butter for the butter cream, you can add food colouring if you want to. When the mixture is smooth, transfer it to a piping bag with a medium sized nossel. 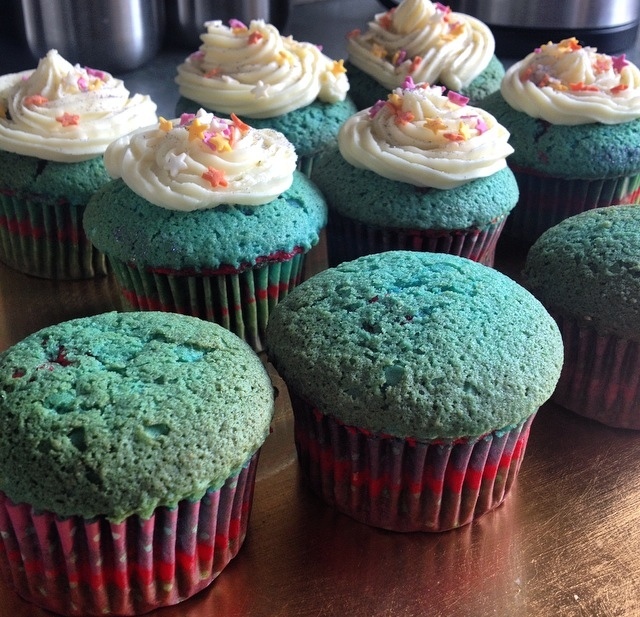 Once the cakes have risen and are cooked, place on a cooling rack to cool for 20 minutes. When the cakes are cool, swirl on the butter cream going from the inside in. Add sprinkles. Love the cornucopia of colors you got there.